China rolled out a shortened Market Access Negative List on Tuesday as a further move to standardize regulations in a transparent way and help level the playing field for foreign enterprises and private firms. Experts said the list makes it easier for all market players to invest in China and is part of the country's efforts to fuel its opening-up drive. The list, released by the National Development and Reform Commission and the Ministry of Commerce, consists of 151 items and 581 specific rules, down by 177 and 288, respectively, compared with the previous draft version. Industries not on the list are open to investment from all market players, domestic and foreign. The adoption of the updated list strengthens the role of the market in allocating resources, while creating a stable, fair, transparent and predictable business environment, said Xu Shanchang, director-general of the Economic System Reform Department of the NDRC, China's top economic regulator. All entities can invest and operate in any industries, sectors and businesses other than those on the list on an equal footing, Xu said at a news conference. Foreign investors must abide by the Foreign Investment Negative List, which took effect in July, in addition to the newly updated Market Access Negative List. By way of comparison, the new Market Access Negative List is a 63-page document, whereas the Foreign Investment Negative List is just five pages long, and includes prohibitions on foreign investment in sensitive areas such as nuclear power and inland fisheries. Liu Chunsheng, an associate professor at Central University of Finance and Economics, said, "The new standardized Market Access Negative List provides convenience for foreign investors as they have easier access to clearer requirements related to market access into China." The new measure will also give a significant boost to the country's private sector, Liu said. Previously, some private enterprises have faced higher barriers in market access relative to their State-owned peers due to decisions made by local governments, he added. "With the introduction of the revised Market Access Negative List, private enterprises can get access to more industries. They will go through the same procedures as State-owned enterprises when entering certain fields," Liu said. Besides the Market Access Negative List, "unreasonable" or "discriminatory" access conditions should not be imposed on private enterprises, Xu stressed. China started to use a negative list approach for market access in 2016 in the country's four provincial regions that have free-trade zones. The pilot practice was extended to another 11 provincial regions in 2017. The adoption of a negative list approach gives the market a much more significant role in allocating resources, boosting post-investment supervision and enabling the sharing and publication of information. In the future, the government will give priority to widening market access to the services sector, and continue to reduce items on the negative list, said Ye Jun, an official of the Commerce Ministry's Treaty and Law Department. To ensure that the Market Access Negative List can be successfully implemented and the related risks monitored, more measures need to be introduced, Xu said. 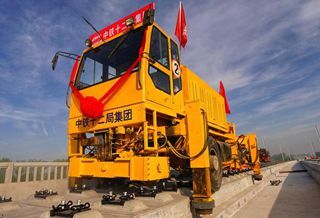 These measures should include streamlining the preapproval system, establishing a mechanism focused on monitoring during and after investment, and establishing a credit rating system for businesses, Xu said.